Today, I’m showing you how to use google calendar to organize your home business! 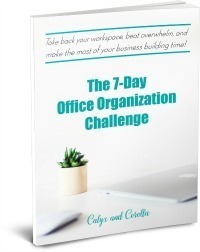 We all know it’s a challenge to organize and manage any business, but run that business at home, among family and household responsibilities, and that challenge quickly becomes a staggering undertaking. But there’s help in the form of this adaptable tool! Running a business at home is tough. There are events to organize, appointments to remember, meetings to schedule, tasks to complete, travel to plan, and myriad other business items demanding your attention, and that doesn’t even include your family and household responsibilities! 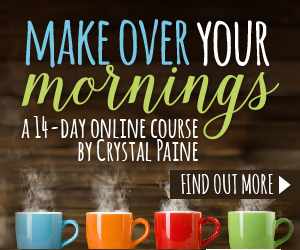 But there’s help in the form of a vital, versatile, available-just-about-anywhere tool, and today I’m giving you the 4-1-1 on how to use Google Calendar to organize your home business! Okay, that hasn’t happened in a long time, but only because two of my kids now drive themselves around. But it’s still pretty nuts around here. That’s why I love the multiple calendars option in GCal! It’s easy to assign an event to a specific calendar (just choose from the drop-down menu). I can see all, a couple, or one of my calendars at one time. I can assign each calendar a color, so that I can immediately identify which part of my life a calendar entry belongs to. Important family appointments no longer get lost amidst the chaos of business appointments, meetings, tasks, etc. If I’m wondering why one of my kids isn’t home yet, I can go look at their calendar (same goes for Hubs, too)! My home business doesn’t operate in a vacuum. I’m constantly switching roles throughout the day (wife, mom, home business owner, pet owner, etc.). Google Calendar is built for multiple roles and switching quickly between them! We also use a paper calendar to help manage our family’s schedule. Learn more about how this one simple tool helps me add hours to my day! Oh, how I love the shared calendar feature of Google Calendar! It does just what it says: it allows you to share your calendar/s. This is so helpful when you’re trying to coordinate with a spouse, older children, or a member of your business. I share several of my calendars with my husband, so that he can see what’s happening with me, the kids, and our household appointments. And several of my clients share a calendar with me, so that we can coordinate their social media content. This makes life SO much simpler and more organized. You can look at your virtual assistant’s calendar and know that she’s available for a meeting on Friday at 8 am to discuss your upcoming product launch. If you’re like me, you’re often on the go and your phone is always with you. And because there’s an app for GCal, that means it’s always with you, too! I love that I can check availability and add appointments on the fly whether I’m at the vet, a doctor’s office, in a business meeting, or talking with one of my kids about their upcoming events and activities. Even better than checking and adding events on the fly? The mobile app and the desktop app sync, so I never have to worry about missing something! Are you out and about frequently with business and/or family? Make the most of your travel and waiting time with a Mobile Office. Any color coding nerds out there? I love color coding, and in no part of my life is it more amazing (or helpful) than with my Google Calendars! I’ve assigned colors to each of my calendars, so that with one glance I can see where all of my family members are (or what they’re doing; or if I need to be at the event, ie volleyball games), what appointments (business or personal) are coming up, and what task I want to be working on at that time (yep, I use GCal for time blocking, see below). Color coding actually helps me to beat business burnout! Learn more in this post, 5 Ways to Beat Business Burnout and Re-Energize! GCal has reminders, which help to remind you of upcoming events and tasks. They pop up on your computer and your phone to make sure that you don’t miss something important. Reminders even have a little icon of a finger with a bow tied around it! You can also create a task list in Google Calendar. This is a feature I don’t use, because I currently keep track of my tasks in Trello. But I wanted to mention it in case this feature would be helpful for you! Are you a prisoner of your to-do list? Learn how to write a better to-do list and actually get your to-do’s done! When I go into my GCal to schedule an event that repeats on a regular basis, I only have to create the event once, then choose the correct options on the repeating events menu. I can even set up custom repetitions! This feature alone saves me so much time and energy by allowing me to create events once, then setting them to repeat! It also allows me to make bulk changes to repeating events. I use (and love) time blocking for my work tasks and, because of the options available in GCal, I schedule my time blocks there. This is another place where recurring events comes in really handy! With a single glance, I know exactly which blocks I’ll be working on each day. I have corresponding prioritized task lists for each block in Trello. When I get ready to start my “Master Task List” block, I just go into Trello, view that list, and start working on the top items until the time block is over. If you’d prefer to time block on paper, there’s a printable for that! Snag your Daily Schedule printable in this post, Organize Your Home Business FREE Printables! In my mind, a week starts on Sunday, maybe because I do my weekly planning routine that day. Maybe you prefer for your week to start on Monday? Thankfully, this isn’t a problem with GCal, because you control the start of your week. You can set the start of your week to Saturday, Sunday, or Monday! Another setting option that saves me time and embarrassing schedule snafus is the “auto add events” setting. When I receive an email about a flight, a concert, or restaurant reservations, those events are directly added to my calendar. Plus, I can easily see the details of that event right within Google Calendar. Turn this option on in your settings. These are just a few of the features that will help you to use Google Calendar to organize your home business! With GCal you can save time and energy, keep track of appointments, tasks, and schedules for your business AND your family, and schedule your day all with this one versatile tool!